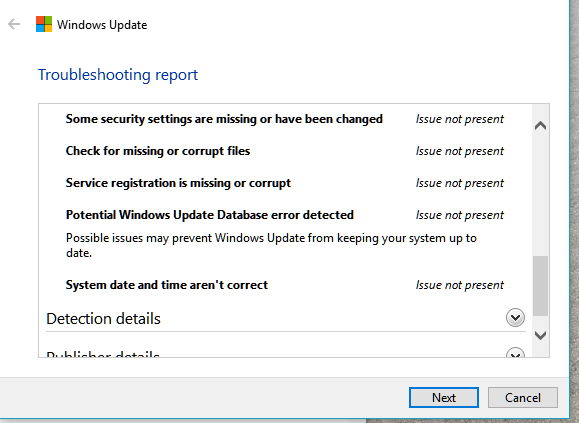 My Windows 10 version is out of date, but when I try to update I get the error code 0xc1900208. It is running the Windows 10 Home edition, version 1607. It's trying to update to version 1803. Do you have other Antivirus or Security Software installed besides the included Windows Defender? 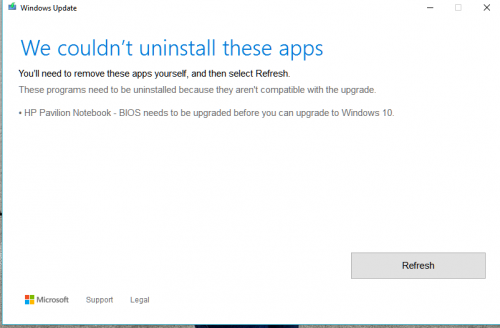 If you have uninstall the security programs and then try to upgrade again. Agree with the above. 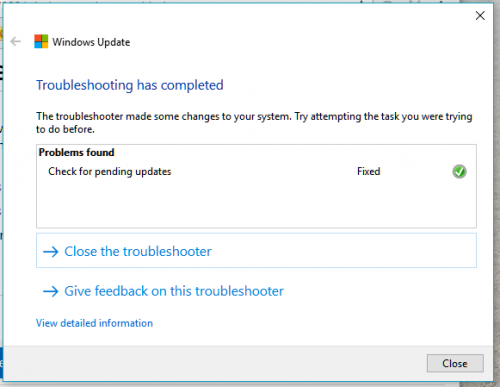 See the following troubleshooting steps if that does not work for you. Run Windows Disk Cleanup - From elevated command prompt copy and paste the following command or through Windows. 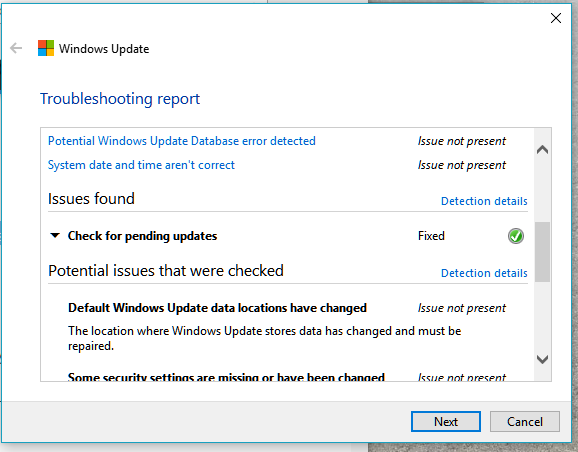 Make sure you check "Windows Update cleanup" option and any other items that you want to cleanup. 4. Provide a Screenshot or Picture of the report. Completed steps up through windows update troubleshooter. Still need to do clean boot. no other antivirus apps installed besides Windows defender except Mccaffee true key which I uninstalled. Update error still came up. It has been a few months since last post. Still having issues. After clean boot, update would still not install. Just did that piece and added the CBS.zip file. I did do the scan again, twice, and provided the text file of that as well. Please let me know if need to start process again or if can continue on from here. 1 - Locate the folder C:\windows\SoftwareDistribution\Download delete everything inside the Download folder only and not the folder itself. Restart the Computer and let the check run during boot. It may take some time depending on the size of the HDD. above steps completed. 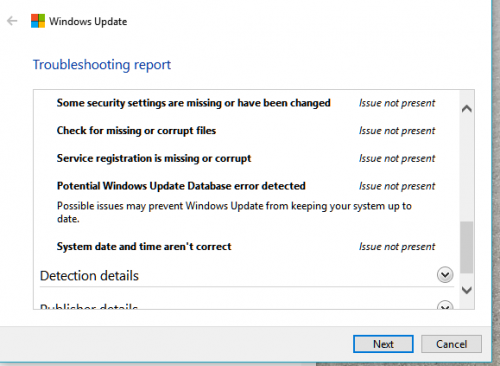 chkdsk results attached. Thank You, Happy New Year also for you. Please run SFC /scannow one more time and let me know if it continues to report corrupted files not fixed. 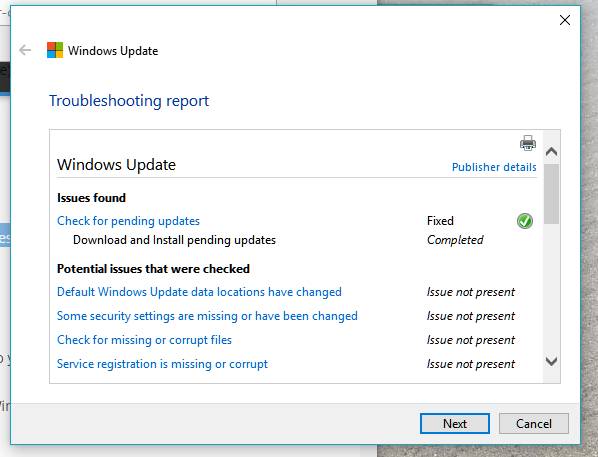 2018-05 Update for Windows 10 Version 1607 for x64-based Systems (KB4132216). Feature update to Windows 10, version 1803. That is a different problem Windows is trying to upgrade to a newer version but it can't without doing a BIOS upgrade first. Please provide the exact model of the HP machine you have so I can help you to locate the correct BIOS update. Sometimes to find the exact model reference you have to check in the back of the machine or under the battery if removable.